Ships tomorrow if you order in the next 23 hours 56 minutes. Auto Ship & Earn + 118 Points What's this? 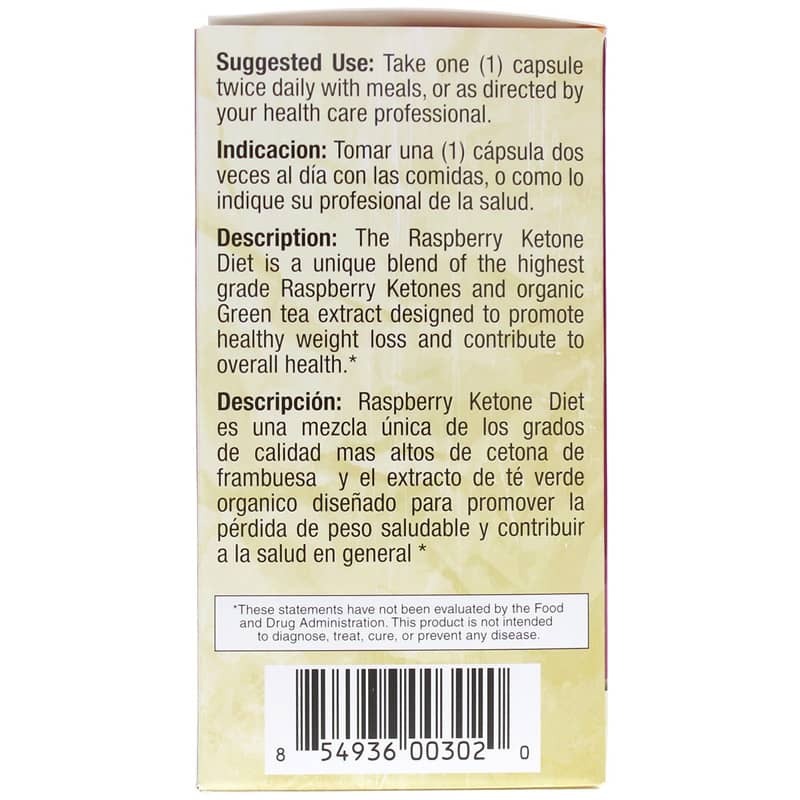 The Raspberry Ketone Diet from Bio Nutrition blends the highest grade raspberry ketones with organic green tea extract to promote healthy weight management and contribute to overall health. 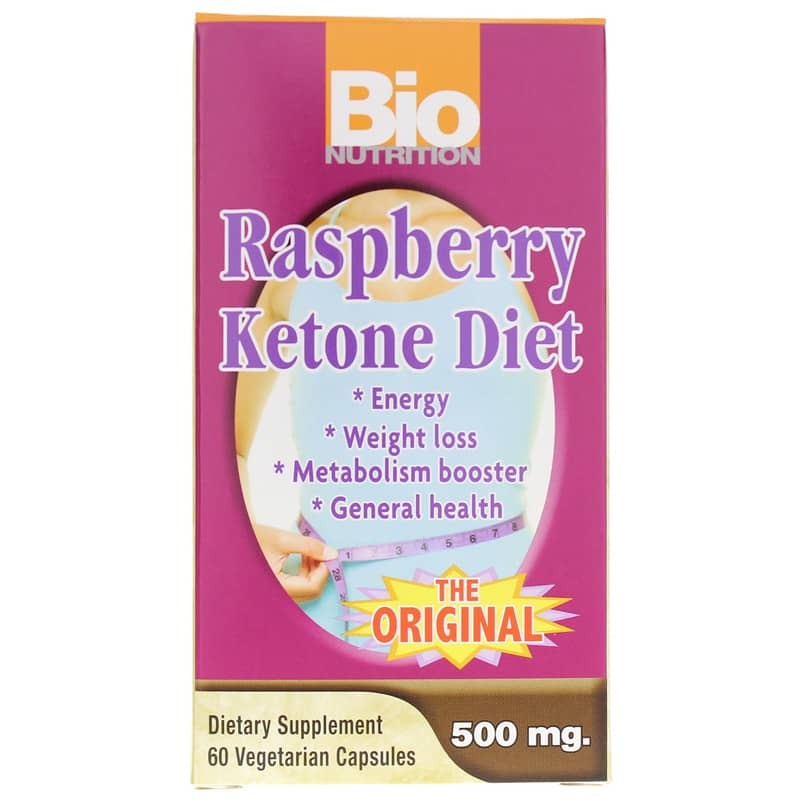 Up to four pounds of fresh raspberries are used to produce one capsule of raspberry ketones. Green tea is added to this blend because of it is a natural metabolism booster and antioxidant. Dosage and results may vary, but one capsule twice a day may be the extra lift you need to help you feel your best. This supplement should be combined with regular exercise and a healthy diet for maximum benefit. Other Ingredients: vegetable cellulose, vegetable stearate, silica. 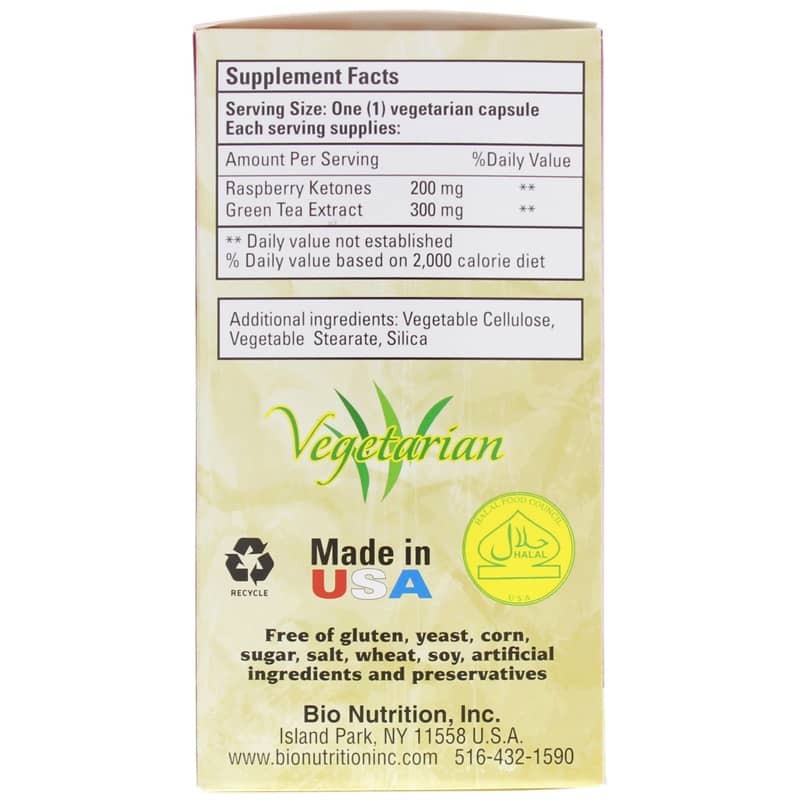 Contains NO: gluten, yeast, corn, sugar, salt, wheat, soy, artificial ingredients and preservatives. Adults: Take one capsule twice daily with meals or as directed by your healthcare professional.